The rugged SUV is typically seen on the streets of India or the Australian Outback, so what's it doing in Michigan? 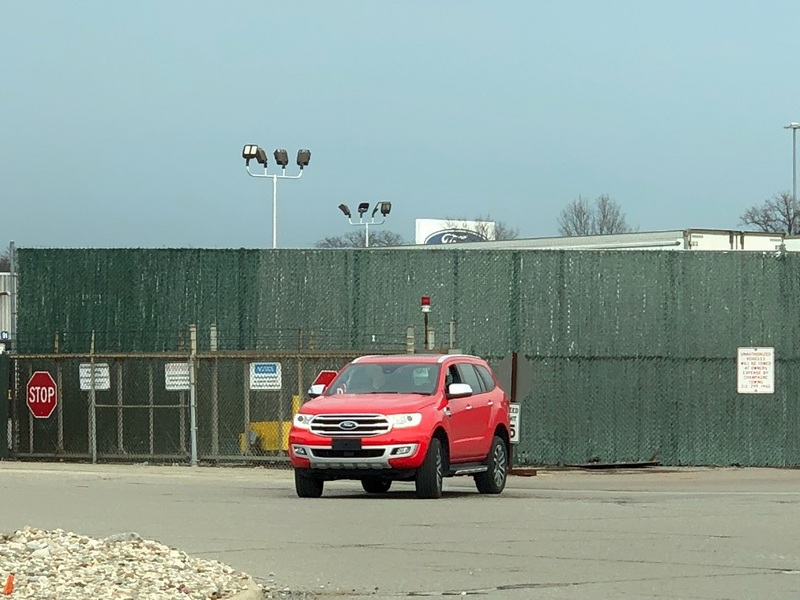 These exclusive photographs acquired by The Drive show what appears to be a 2018 Ford Everest driving near the automaker's testing and engineering facilities in Dearborn, Michigan. 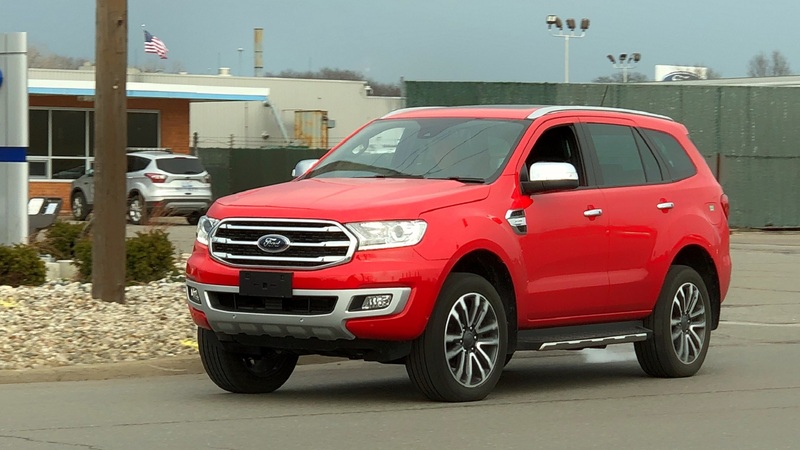 Despite its similarities with the Australian SUV, this rugged 'ute boasts key design differences that make us wonder about its ties to the upcoming Ford Bronco. Dressed in a bright hue referred to as True Red on the Ford Australia website, the Everest's color-matched bumpers and chromed mirror caps lead us to believe this particular example is a range-topping Titanium trim. That being said, we couldn't find any photographic evidence that Ford has previously used this specific front grille and wheel design on any other 2017 or 2018 Everest models. The three bars running across the grille and the Blue Oval are considerably different than the current design, and the large (possibly 20-inch) wheels aren't listed on any Ford parts catalogs. 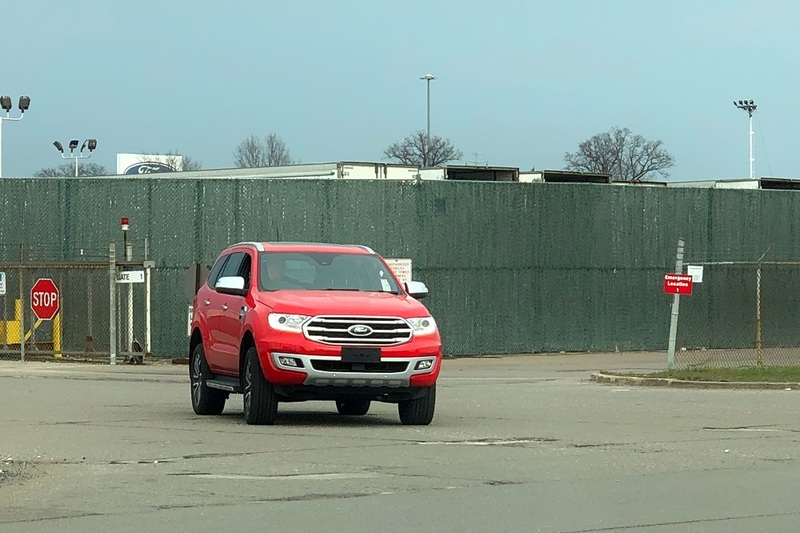 Automakers oftentimes use current-production vehicles to test the parts and components of vehicles that have yet to be released, but we can assume that "grille and wheel testing" isn't necessarily what we're witnessing here. We're more concerned with what's under the hood of the three-row SUV. We reached out to Ford to inquire about the provenance of the Everest and its relation to the upcoming Bronco, but its answer was less than revealing. 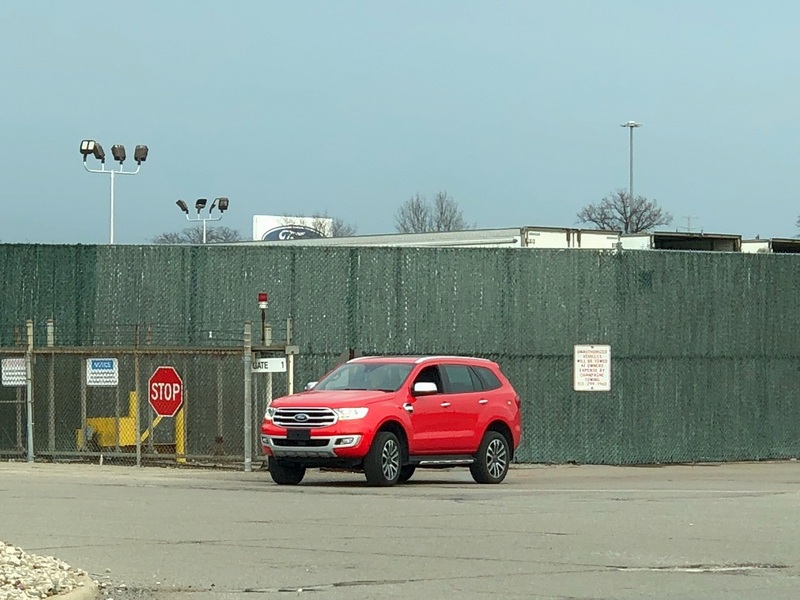 "Ford is a global automotive company and Dearborn is one of our Global Product Development centers, where we occasionally review and test global products," Mike Levine, Ford North America Product Communications Manager, told The Drive. When Ford Motor Company announced that the Bronco and Ranger nameplates were coming back to the United States at the 2017 North American International Auto Show, legions of lifelong fanatics erupted with joy and pledged to consider either vehicle when they landed on dealer lots. Fast-forward nearly 16 months, and everything surrounding the Bronco has been hush-hush, with Ford only revealing that it will share similar construction with the Everest and that it'll be built at the Michigan Assembly Plant along with the new Ranger. With a launch planned for late 2019 as a 2020 model, common sense would dictate that sooner rather than later we will begin seeing Bronco prototypes testing on the world's most extreme climates and terrains. It's just a matter of time. Ford Bronco comes by Hoonigan's Donut Garage and gets sent over a few stacked ramps.